When Porter and Tiffany & Co ask you to help with their summer party you don't do things by halves and of course we couldn’t help but arrive with true style and grandeur. As with every event, there was a need for creativity and ingenuity to deliver the extraordinary and unforgettable. Enter Moriarty! 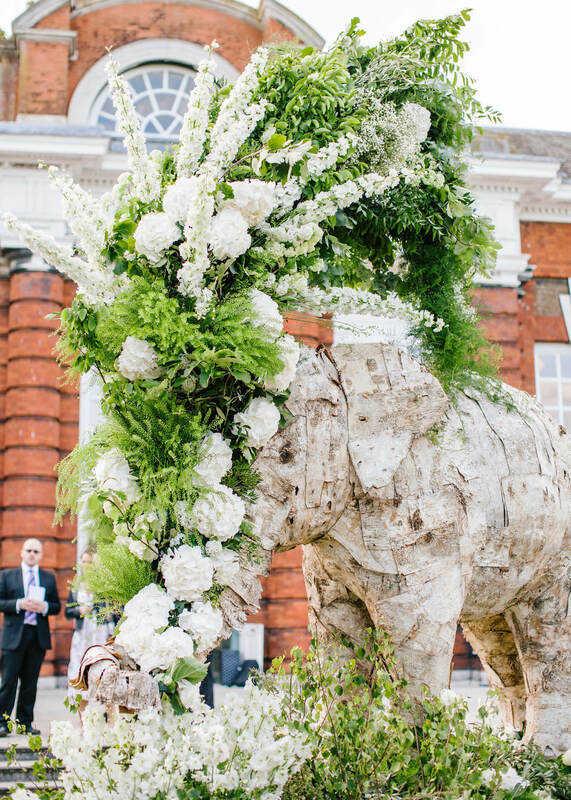 With help from our friends at the Elephant Family and All for Love London, we successfully constructed a life size (but rather more glitzy) sculpture of an Elephant which was placed in prize position for the charity evening at Kensington Palace. Save the Elephants is a wonderful charity started by Ian Douglas Hamilton which works to secure a future for elephants in a rapidly changing world. Our ambition and interest in supporting such fascinating charities led to a perfectly matched occasion. The evening attracted the great and the good with the likes of Cara Delevigne, Doutzen Kroes, Natalia Vodianova and Alice Temperly all being photobombed by our Elephant, she even made front page news! The Testimonial: ‘Thank you so much to you and your amazing team for making last night so wonderful. You have been a total joy to work with and we could not have done it without you. The elephant really was the belle of the ball!’ Stephanie, Head of Events and Special Projects, The Net-a-Porter Group.